I had a query today from auditors that needed a SQL server’s version details and for some reason using help=>about does not show if it’s the Standard or Enterprise version. To get this info open your SQL Management Studio, click on new query, in the query field type “select @@version” without the quotation marks, then click execute. 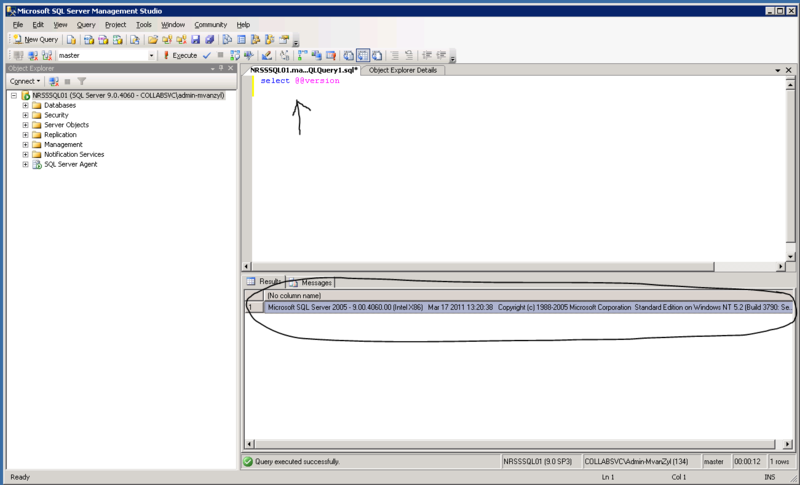 This will show you the SQL version details as per below screen shot.